In-service teacher-education (INSET) in the Government school system is characterised by centralised program design, didactic teacher professional development (TPD) processes and limited interaction amongst participants during and after training. The National Curricular Framework for Teacher Education, 2010 has envisioned an INSET that is self-directed, peer-based, continuous learning; recognising and building on teacher experiences. The ‘Subject Teacher Forum’ (STF), an INSET program of RMSA and DSERT Karnataka has attempted such an INSET, through the creation of a ICT enabled Professional Learning Communities (PLC). The STF focused on strengthening digital competencies among teachers, in using free educational software applications (like Geogebra, Phet, Freemind), authoring tools (to create text, image, audio and video resources), web tools (like maps, search) and web resources (like encyclopedias, dictionaries) for their TPD and teaching-learning. IT for Change, the resource institution partnering DSERT, trained Master Resource Persons, who trained colleagues across Karnataka, using a ‘blended cascade’ approach. The participating mathematics, science and social science government high school teachers have shared ideas, experiences and open educational resources (OER) on the virtual forums of their PLC. “An analysis of the interactions on the forums is indicative of growing awareness, proactive participation and the development of a community. The training interventions have introduced teachers to a variety of software tools and web resources, encouraging them to engage with these resources, create their own and share them with their peers. The STF is implemented by the government system, using existing infrastructure and budgets. Being systemic, it has the potential to scale and sustain. Based on the 3rd RMSA JRM recommendations; Telangana and Assam have initiated INSET, contextualising the Karnataka STF experiences to meet their priorities. 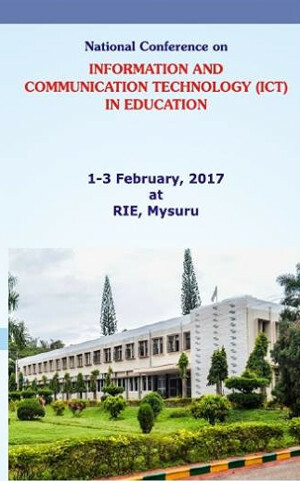 Through an analysis of these programmes, the paper explores a PLC-OER based INSET model that could reform TPD, and facilitate OER development in Indic languages.